Cosmopolitan is packed full of features and articles to entertain, inform and empower strong women through inspirational stories, helpful guidance and important news of the day. Buy a single copy or subscription to Cosmopolitan magazine. It is one of the most influential women’s monthlies in print today. Celebrating fashion, glamour and a passion for life, it has everything from make-up tips to relationship advice, in-depth celebrity interviews, and the latest from the catwalk. Even if you have never read a single page of Cosmo, you will no doubt have heard about it. Millions of women across the globe consider themselves to be dedicated Cosmo girls. That’s because the magazine is packed full of features and articles to entertain, inform and empower strong women through inspirational stories, helpful guidance and important news of the day. From month to month, it features some of Hollywood’s biggest names and the most famous celebrity faces of the moment to keep its readers in touch. But it also appeals directly to women with real-life stories and advice that can help them embrace the good times and handle the bad. 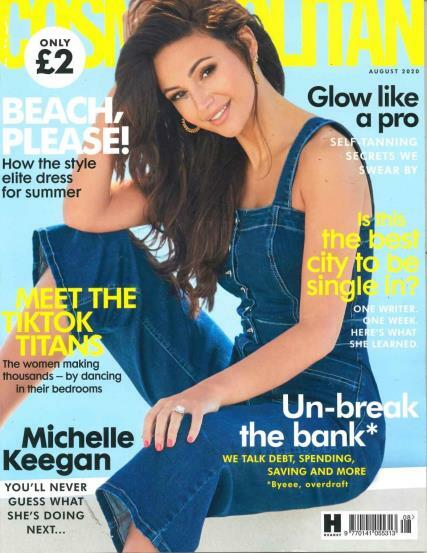 Each issue of Cosmo also provides readers with a stunning collection of fashion photography, celebrity interviews, competitions, horoscopes and questions from the readers. Appealing to the modern woman – as it has been for decades.